Michelle served as our Board Secretary from 2016-2018 and has graciously offered to continue managing the memberships for Horse Archery USA. Michelle had been riding horses and competing in AQHA (American Quarter Horse Association) and PHBA (Palomino Horse Breeders Association) for almost 30 years before becoming involved with horse archery. 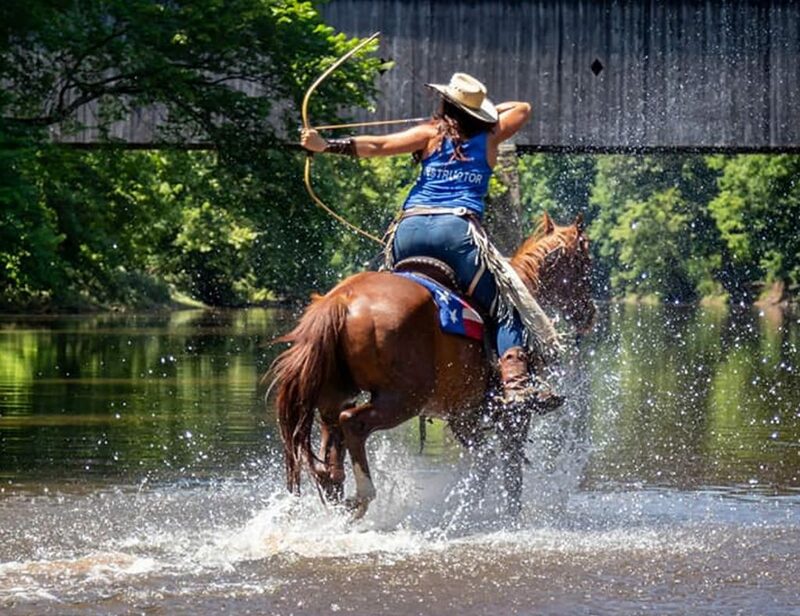 She was “looking for a new hobby to get involved in” with her horses and after seeing a mounted archery demonstration in 2015, Michelle knew she found her adventure and began horse archery training with her new Paint gelding, Lil Joe. As our past President (2016-2018), Kim continues to manage our website and other digital media for the organization. 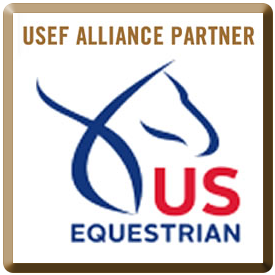 Kim grew up riding off-the-track-Thoroughbreds in the hunter/jumper ring and was actively involved with the U.S. Pony Club, competing in USPC Mounted Games at the national level. Kim is the founder of the Georgia Horse Archers, and hosts the annual Georgia Open Horseback Archery Competition. 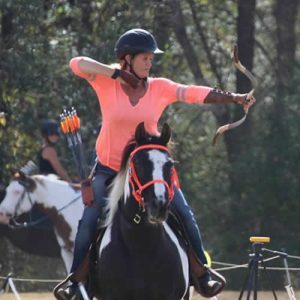 She and her Drum horse, Tadpole, have been participating in mounted archery since 2015 and after dedicating the past 2 years to reorganizing and developing Horse Archery USA, she hopes to “get back in the game” and compete in a few events this year! Canyon has served as our Club Coordinator for some time now, and although recently elected as HAUSA’s next President (congrats! ), he will continue to welcome new clubs to the organization in his famous, friendly, and fun-loving manner! 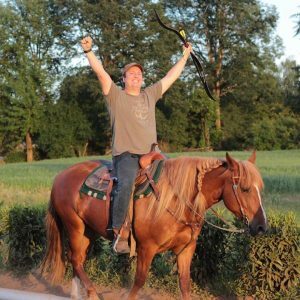 Canyon has been working with and assisting local horse archery clubs with training and ground archery basics of horse archery since 2015. 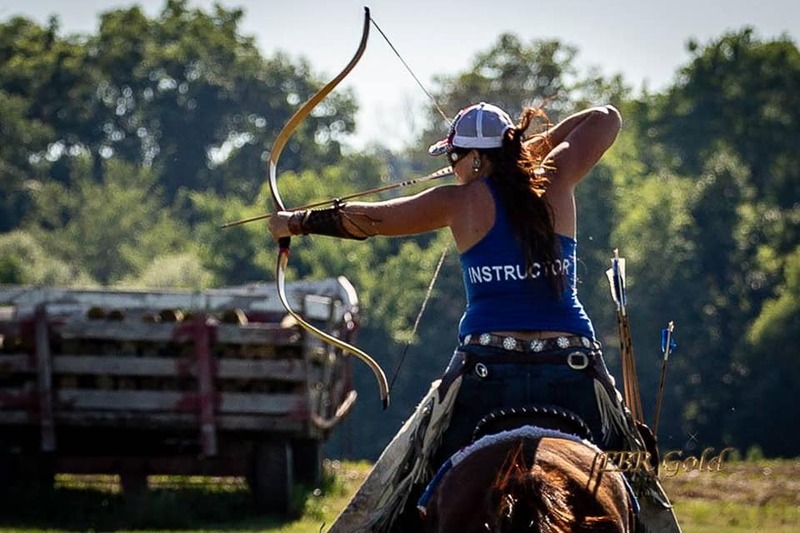 Dedicated to making sure that every skill level of rider and shooter have a place to call home, Canyon founded Northwest Nomad Warriors, along with partner Kristen Andersen, in 2016, and together they are proud to have been the starting point for a numerous horse archers in the Pacific Northwest region. We are grateful to have a Megan Hanselman join our team as a new board members AND as our Newsletter Editor! Megan is a native Oregonian who was born and raised in the beautiful Pacific Northwest. 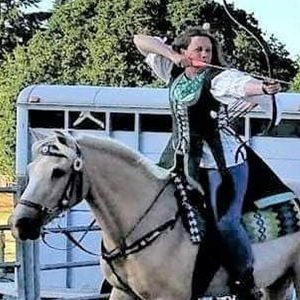 She is a lifelong equestrian who started her mounted archery journey 3 years ago. 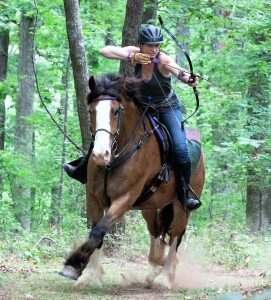 While she does not yet compete, her passion for the sport fueled her to found the Sherwood Forest Mounted Archers in the fall of 2016. Megan studied journalism at the University of Oregon, earning her Bachelor of Arts, and is the perfect fit to manage Horse Archery USA’s quarterly newsletter, On Target.